For the past century, Japan has been a center of attention due to its rapid industrialization and modernization. Still, certain aspects of the nation?s culture remain an enigma to outsiders; particularly, Japan's religious foundations. To most of the world the ancient spirituality of this modern nation remains a mystery. Raising this ancient veil of secrecy, Dr. Isao Ebihara examines myths and legends of Japan, from antiquity to today's modern tales of anime and manga. He explores the culture's shrouded world of ghosts, spirits and supernatural phenomena, and discovers the very roots of Japan's faith. Discover how the ancient Japanese formed their detailed illustrations of the supernatural; images that survive to this day. What kind of afterlife did they envision? Do they still believe in the supernatural in the 21st century? Are there any similarities to the spiritual world that Westerner's detail? The answers to these questions and more are found in this fascinating book. 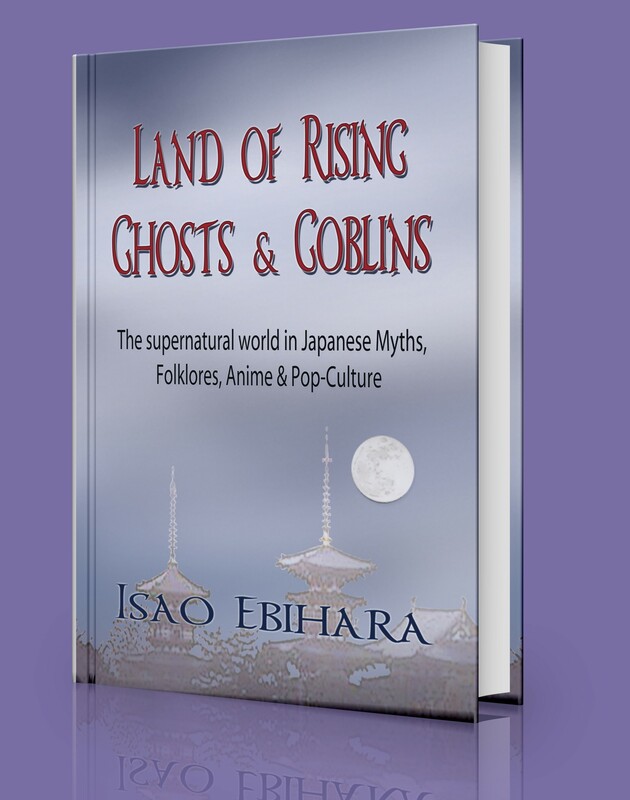 Historian, theologian and anime guru Dr. Isao Ebihara delves into the Japanese pool of history, religious systems, and political intrigue in Land of Rising Ghosts and Goblins: The supernatural world in Japanese Myths, Folklore, Anime & Pop-Culture. This undertaking invites young Westerners, as well as South Asians and anyone intrigued by Japanese culture, to explore mythic backgrounds in popular legend and folklore. Alongside familiar characters such as the warrior Inuyasha and Dragon balls Goku, there are examples from more cryptic figures in Japanese folklore; like Prince Yamato Takero, and the divine couple Sarutahiko and Uzme; as well as many preternatural creatures, such as the Yokai (commonly translated as 'demon' or 'god' by the layman, Ebihara gives a more detailed portrait of the characteristics of these bestial creatures). Also featured are the mystical art of Chakra and the Kabuki genre of theatre. Land of Rising is an entry-level read, loaded with sufficient content and commentary to guide Western, Chinese, Korean, and other curious minds into the highly enigmatic world of the Japanese supernatural. Land of Rising is a historical map of Japan's cumulative trove of myths and religions. The story begins with a startlingly carnal outline of primitive Shinto cults, before the more civilized Buddhist and Confucian reforms in 7th century AD. Ebihara then dips into his intimate knowledge of Japanese history and political intrigue to whet Western appetites for contemporary world issues facing the Japanese: the Emperor-cult into the 20th Century, the establishment of State Shinto, and the penetration (and persecution) of Christianity in the island. Could political motives account for discrepancies between the Kojiki and Nihonshoki sagas twin documents of the Japanese people's oral stories from antiquity? How much does legendary prince Yamato Takeru share in common with King Arthur? How have Shinto priests appeased demonic creatures called Oni, and why have people feared even becoming one? Do the peoples who devise popular fairy-tales have any room for the Christian concept of mercy, or must justice and vengeance prevail? The concluding chapters of Land of Rising draw connections with the contemporary worlds of manga artist Shigeru Mizuki and beloved film creator Hyao Miyazaki. Comparing Shinto superstition and Buddhist monasticism with Greek classics, and offering glimpses into the Asian afterlife, Land of Rising achieves a high level of accessibility.